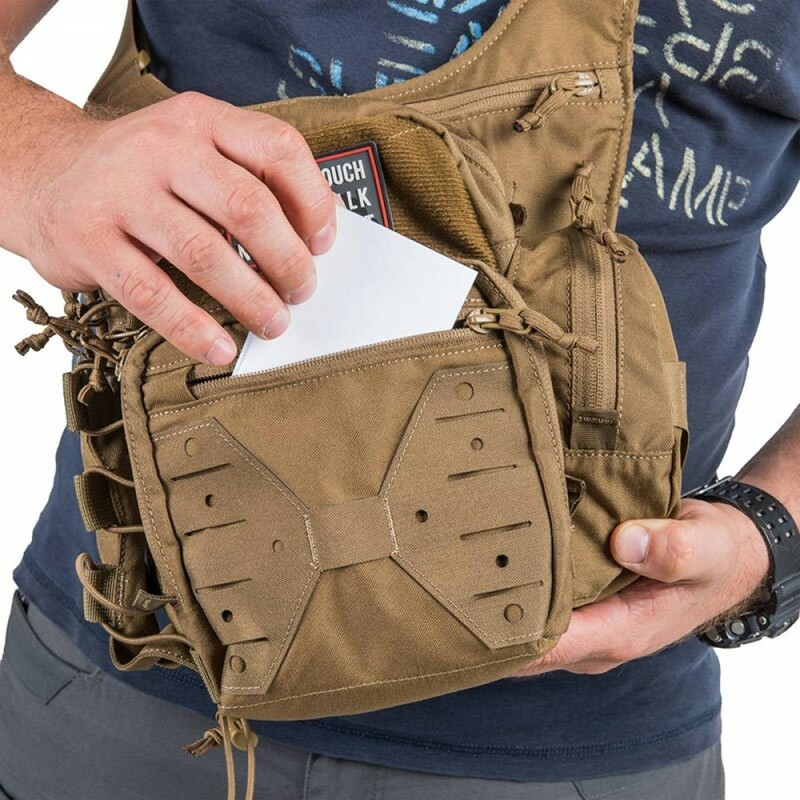 EDC Side Bag is a compact, universal bag for everyday equipment. 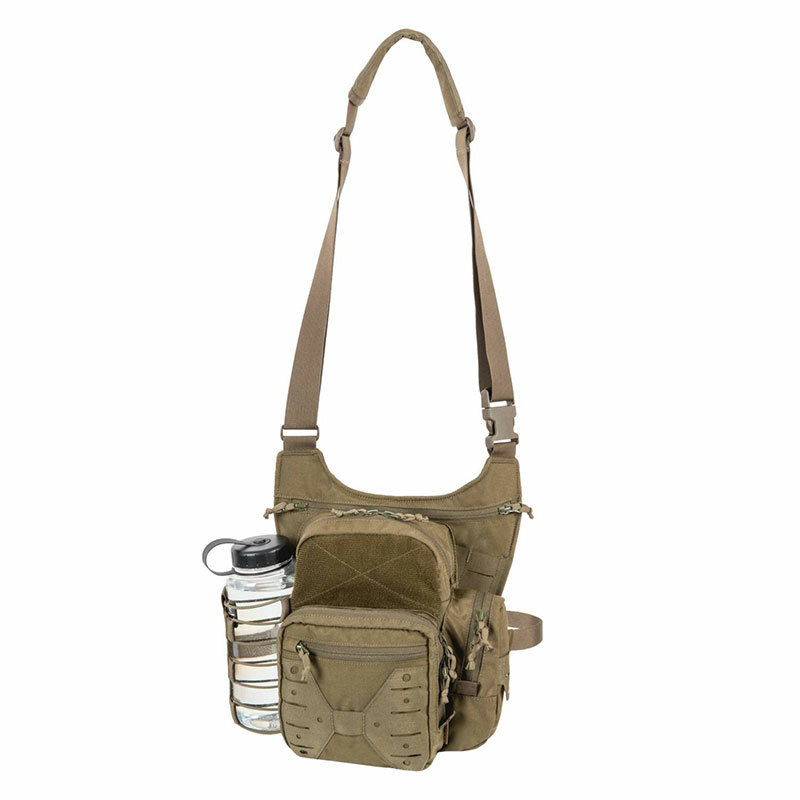 The bag has spacious main compartment for larger items, and small front pocket with internal organizer. 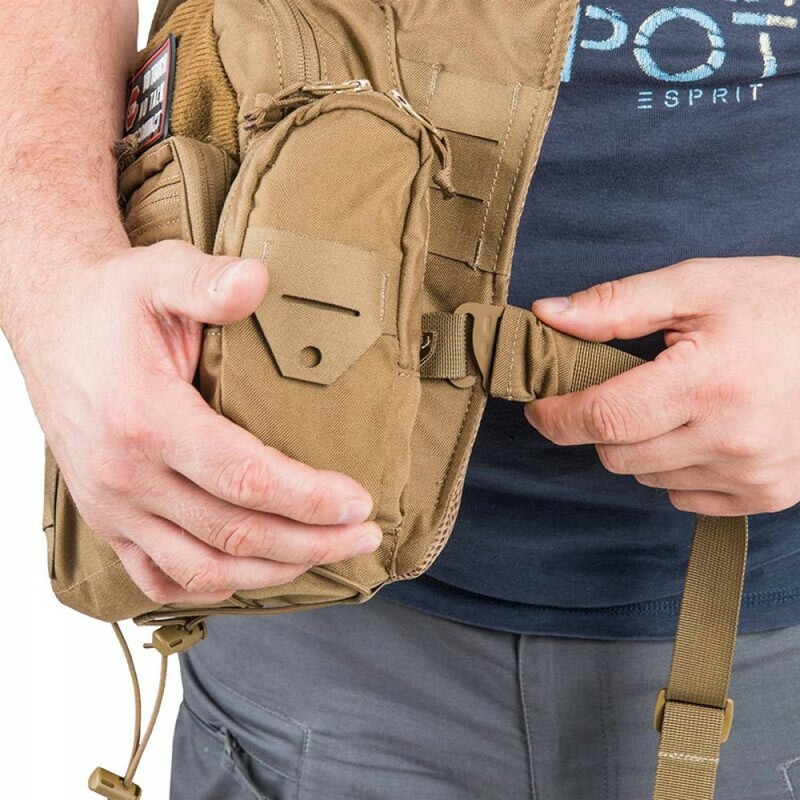 On one side of the bag there is one small pocket for small essentials, and on the other side there is a universal, shock-cord adjustable water bottle/jacket holder. 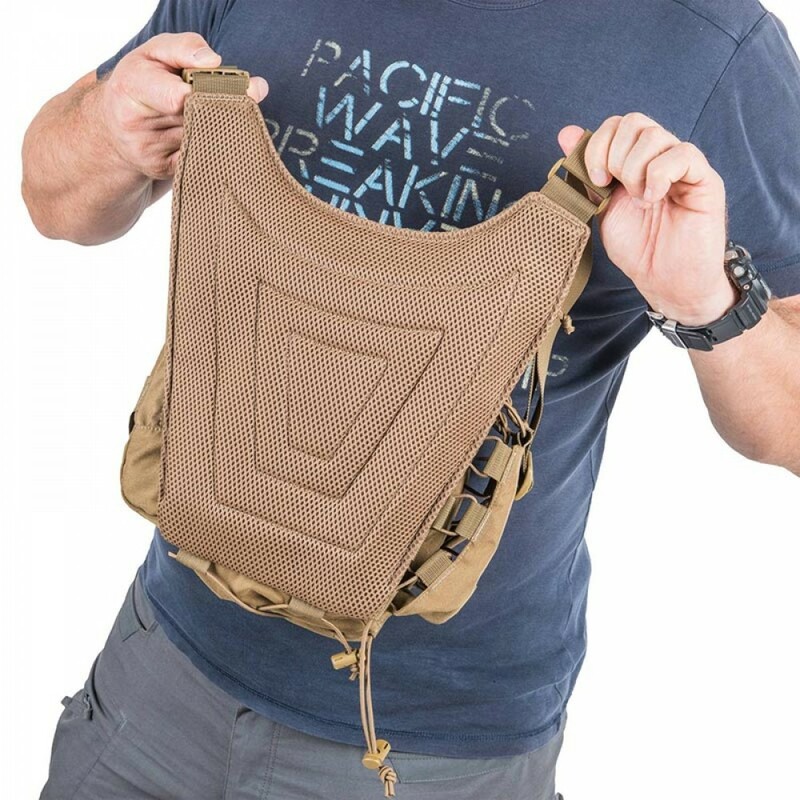 Front laser cut MOLLE/PALS system provides additional mounting space for extra pouches or other equipment. 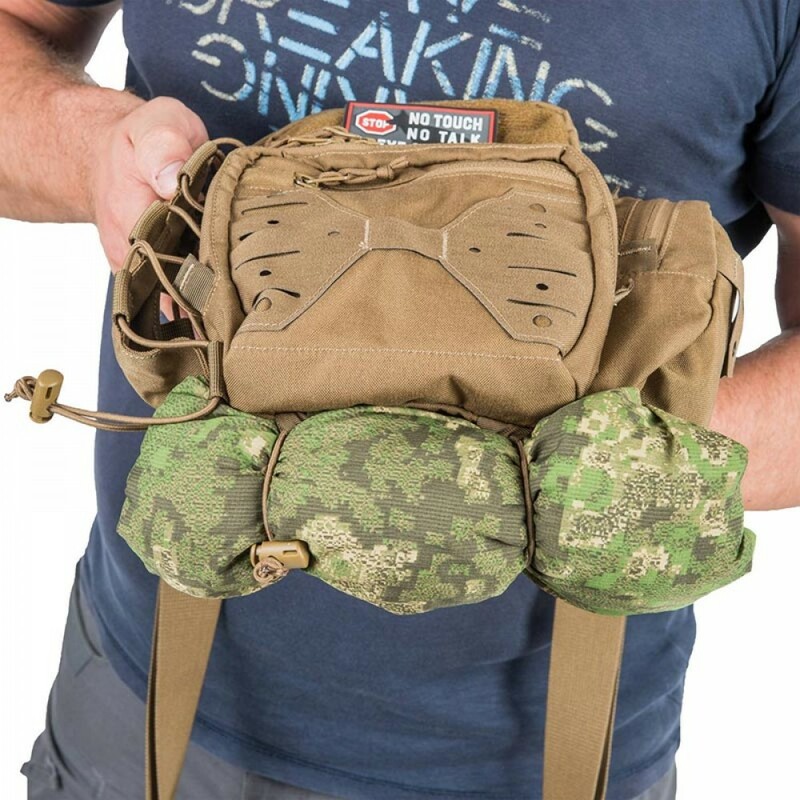 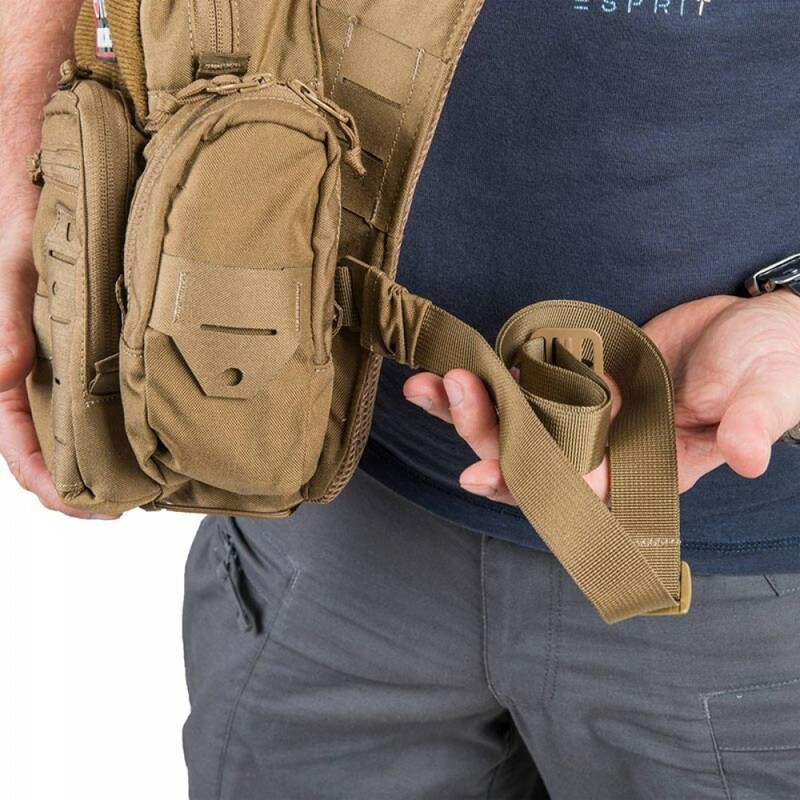 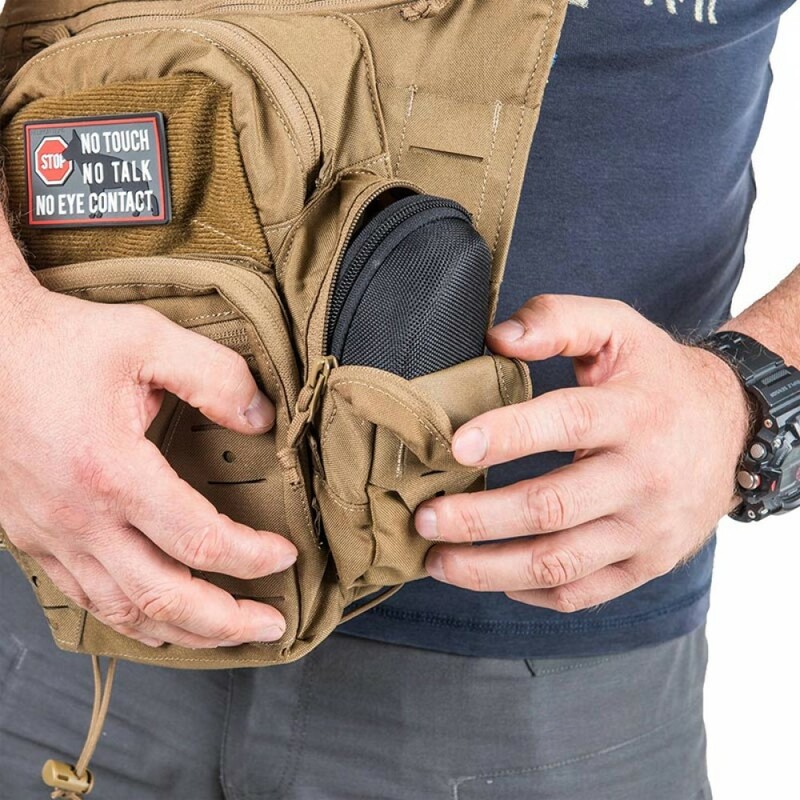 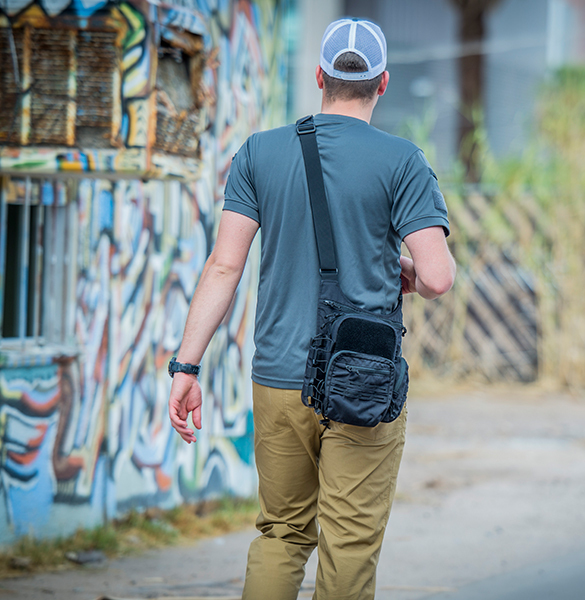 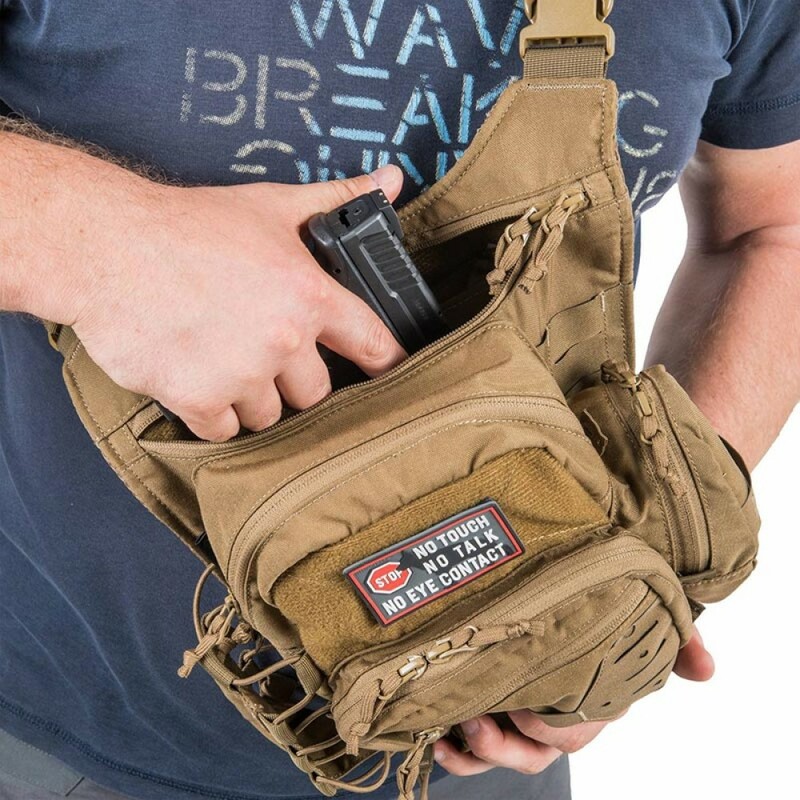 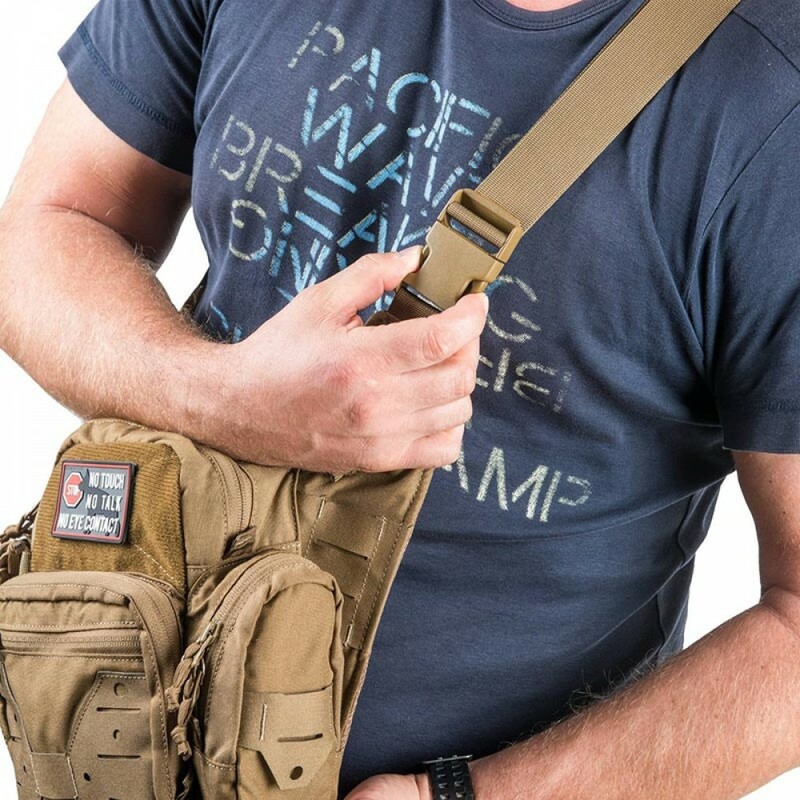 EDC Side Bag has additional, hidden pocket that can be used to carry a full size handgun (either pistol or revolver). 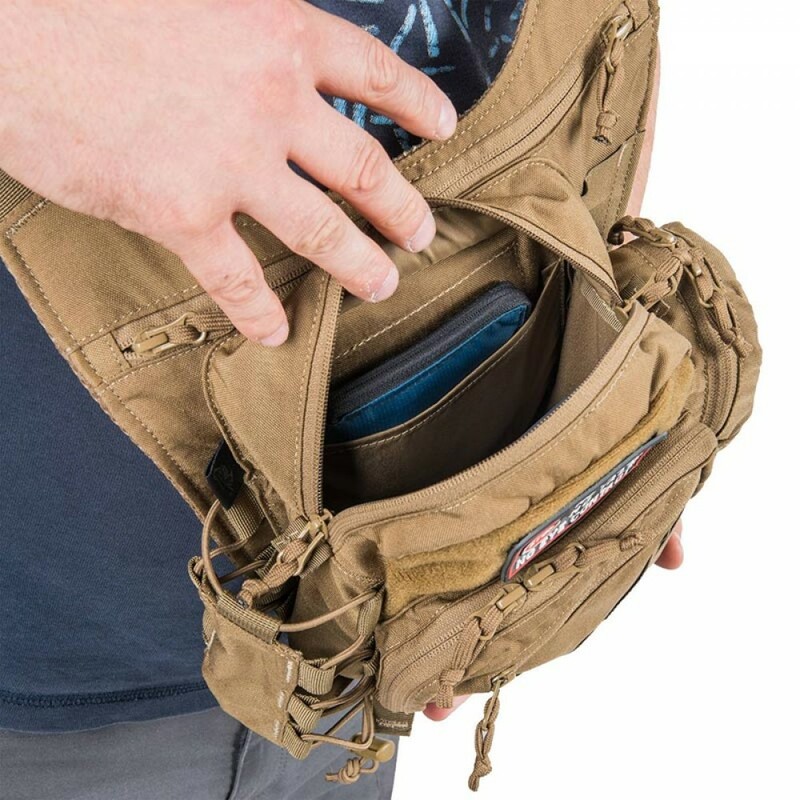 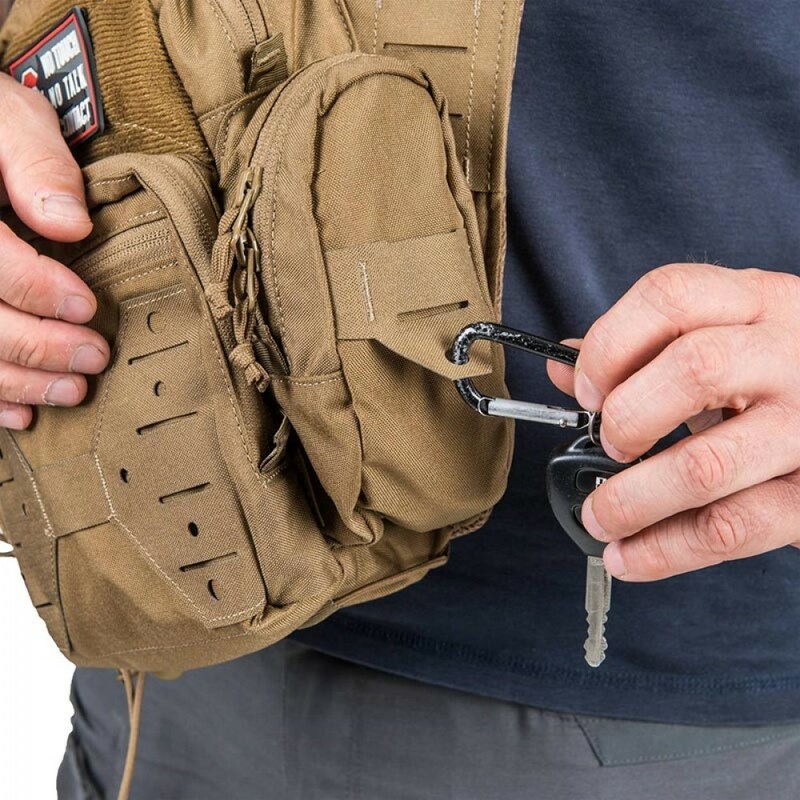 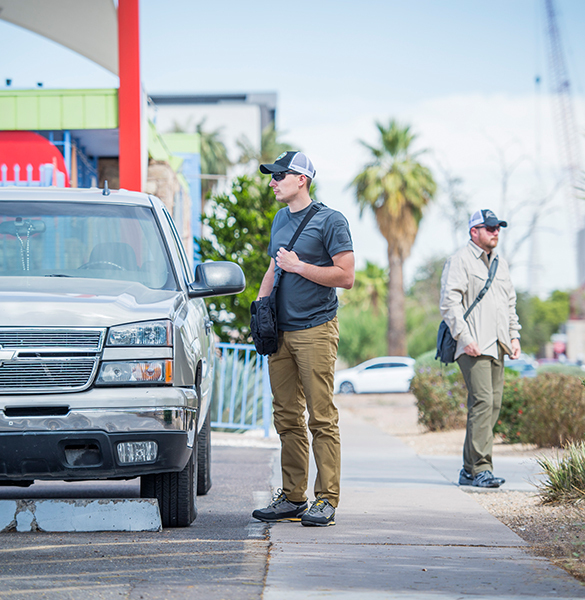 The pocket can also be used for mounting any Versatile Insert System®-compatible items.